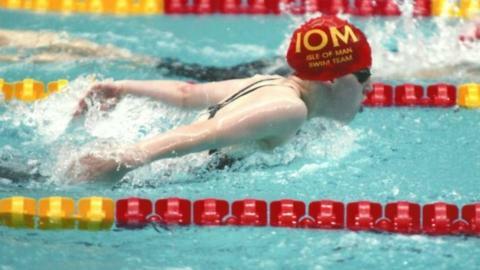 Manx swimmer Charlotte Atkinson will travel to Sheffield next week hoping to qualify for the London Olympics. The 15-year-old, who holds more than 50 Manx swimming records, will compete in the 50m freestyle, 200m backstroke and 400m individual. She said: "I would be thrilled to be selected for the Great Britain squad, but even if I'm not this will give me valuable experience for the future." The British Gas National Swimming Championships will start on 20 June. Atkinson is one of first recipients of the Mark Cavendish scholarship to help Manx sportsmen and women. The young swimmer, who is a member of the England Youth Talent development programme, won gold at last year's Island Games and competed at the Commonwealth Youth Games. "It's going to be amazing competing alongside (world and Olympic champion) Rebecca Adlington. I have been training eight times a week so I hope it pays off in my results," she added.